AbbVie, Inc. and Abbott Laboratories, Inc. have been sued again because of allegedly serious problems with their testosterone drug AndroGel. A man has filed the latest AndroGel lawsuit in Illinois claiming that he suffered a myocardial infarction, commonly known as a heart attack, after using this medication. The lawsuit documentation states that the plaintiff suffered his heart attack less than a year after being prescribed AndroGel to treat symptoms of low testosterone. The plaintiff also claims that the defendants knew or should have known about the dangers associated with AndroGel but that they did nothing about them. The plaintiff is a male who was in his early 60’s when he was prescribed AndroGel for low testosterone. The plaintiff began to use AndroGel in January of 2005. 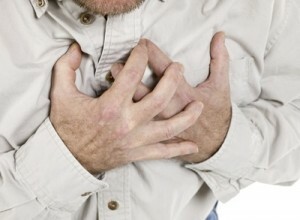 Prior to 2005, he had no medical history regarding heart attacks or other heart problems. At the time, the plaintiff was employed as an executive assistant at a large corporation. In November of 2005, the plaintiff suffered what the court documents described as a “significant myocardial infarction” that led to severe physical and emotional injuries. Finally, the plaintiff alleges that the conduct undertaken by AbbVie, Inc. and Abbott Laboratories was “willful and malicious” and therefore he deserves to be awarded punitive damages. As mentioned to above, this is far from the first AndroGel lawsuit. Federal judges are expected to rule soon on whether a Multi-District Litigation, or MDL, should be formed to combine a large number of lawsuits filed against AbbVie, Inc. and other testosterone manufacturers. The reason that there are so many low testosterone lawsuits being filed is because studies have shown that men who use these medications can face the risk of heart attacks, strokes and death. Those negative results appear to be taking place now, at least based on allegations made by plaintiffs from all over the United States. If you are one of the many people who believes he has been harmed by this medication, you need to seek the help of AndroGel lawyers who understand how to fight for the rights of consumers. Contact Parilman & Associates today to schedule a free initial consultation. You can either email the firm or call 800-800-DRUG.